When it comes to online casino software, Betsoft is the leading game developer in terms of innovation, creativity and high quality 3D graphics. Find out more about Betsoft’s range of premium casino software and where you can play these highly entertaining games for the chance to win real money at the best online casinos. In operation since 2005, Betsoft is up there with the best, most trusted names in the online casino industry, with a reputation for providing some of the most popular slot games you’ll find on the Web. 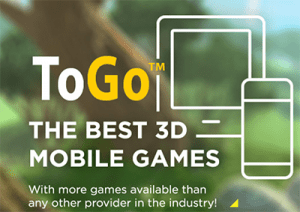 The company prides itself on providing the “absolute best 3D, true cinematic games in the industry” promising customers they won’t find a better product anywhere else, and once you get the chance to sample Betsoft’s software, the truth behind that statement becomes clear. This software developer uses the latest technology to produce games that have more in common visually with an animated Disney or Pixar movie than an online casino game. Betsoft puts an emphasis on character development and entertainment, with games full of innovative themes, bonus features and unique designs to create a level of player engagement that’s difficult to find elsewhere. A dedicated team of artists is behind each Betsoft game, with a software team committed to evolving with new technologies. Betsoft is wholeheartedly committed to providing high levels of integrity and complying with the world’s strictest gambling regulations. All Betsoft software carries RNG (random number generator) certification from Quinel M Limited and operates under the laws set out by Curacao eGaming, one of the world’s leading online gambling jurisdictions. In early 2017, Betsoft launched a new desktop gaming platform, known as Shift. Shift leverages the latest advancements in HTML5 which simplifies the development and deployment of games without the need of third party support from Adobe Flash. The Shift platform ensures players can continue to enjoy Betsoft games when Adobe Flash Player reaches the end of operation, while maintaining the high level of graphics and gameplay that Betsoft games are known for. The Shift platform is supported by all major Web browsers, including Google Chrome, Microsoft Edge, Apple Safari and Mozilla Firefox, and all popular operating systems including Windows, Mac, Linux, Android and iOS. Betsoft’s range of 3D slot games is what the company is most famous for, with a large collection of exquisite titles known as the Slots3 collection, available for play on both desktop and mobile. Betsoft slots combine creative artwork with exciting themes, engaging storylines, lovable characters and unique bonus features to provide a casino gaming experience like no other. 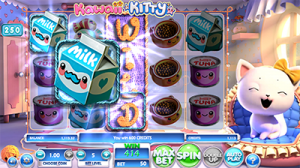 Typically, Betsoft slots comprise of five-reels, with detailed backdrops and the main character standing to the side of the reels waiting to come to life when a winning spin is landed. Bonus features and mini games have been tailored to suit each unique game theme, so you will need to sample a range of Betsoft titles to get an idea of the extent of what this developer is capable of. All Betsoft games are available for instant-play, which means they are available directly over your Web browser with no downloads needed. The leading online casinos recommended on our site provide the option of playing for free in practice mode, so you can sample as many Betsoft slot games as you like to see for yourself how impressive these slot creations are. 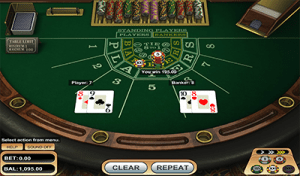 Although Betsoft is unarguably known for its 3D slot creations, the company is also behind some fantastic table games and video poker variants, as well as one of the only 3D poker games available online. Like its slots, Betsoft’s other casino games are highly detailed, offering sophisticated layouts, easy to use game interfaces and affordable betting options catering to both recreational players and high rollers. Betsoft’s table game variants go beyond the standard, classic offerings and include some rare variants not commonly offered by other software developers. The Slots3 range of 3D slot games from Betsoft is hugely popular and you will likely find these games at a majority of the leading multi-provider casino sites, including our favourites Rizk Casino, Slots Million and House of Jack. Although online casino vendors tend to favour Microgaming or NetEnt when it comes to table games, you will find the full range of Betsoft table games at BetOnline which is powered exclusively by Betsoft software. For all the top-rated casino sites offering Betsoft games, refer to our casino table at the top of this page, which has been geo-targeted to recognise your location and only offer casinos that accept players from your country. 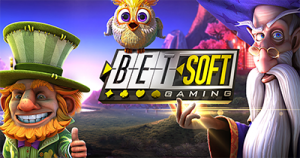 Use our table to read our comprehensive review of each Betsoft casino, or use our links to sign up for an account to play Betsoft games for real money and you will be eligible for some exclusive welcome bonuses. Want to experience the full selection of Betsoft slots, video poker and table games? Head to BetOnline where you can play a majority of Betsoft’s casino games directly over your Web browser with no downloads required.